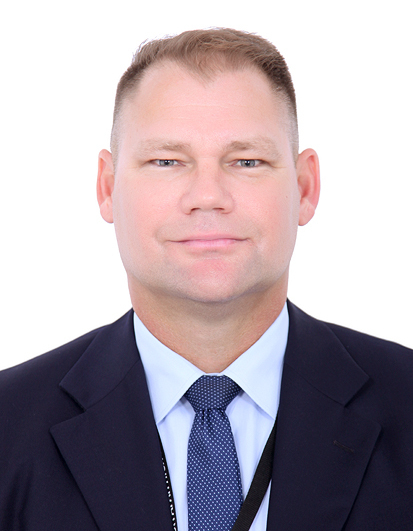 My name is Mr. Phillip Burgess and I have the honour and privilege of being the Principal of Al Diyafah High School. It is my great pleasure to welcome you to the School website. Al Diyafah High School LLC, situated in the heart of Ghusais, was founded by Mrs. Winnie D'Cunha in 1982. Since its inception, the School has evolved to become a leader in holistic education with its outstanding levels of teaching and learning, curriculum design and focus on developing the character of the individual child via a rigorous co-curricular and Personal Enrichment Program. The school's curriculum is modelled on the Early Years Foundation Stage in the FS2 section. The National Curriculum of England is applied in the Primary School (Yr.’s 1-6) and Middle School (Yr.’s 7-9). In Years 10 -11 and 12 – 13, our students are prepared for the highly respected and internationally recognised IGCSE (Yr.’s 10-11), AS and A Level (Yr.’s 12-13) examinations via the Cambridge International Examination (CIE) and Edexcel Boards. At the core of Diyafah's educational philosophy is the firm belief that each child is an individual with unique learning needs and the potential to succeed in any endeavour they choose to pursue. It is our desire as educators to challenge students in order for them to exceed their personal expectations and achieve their fullest potential, whilst maintaining a caring, nurturing and mutually respectful school environment. Al Diyafah students achieve outstanding academic results across all phases of the school, which is testament to their hard work, the academic rigour of the curriculum and the excellent standard of teaching and learning provided by the passionate, motivated and enthusiastic teaching staff. The sense of community at the school is outstanding. This is achieved via excellent communication and an inclusive relationship with the parents and school community as a whole. The school’s motto of 'Let Your Light Shine' symbolises the positive culture at Al Diyafah as all students are encouraged to not only achieve personal success but to shine the light for others to succeed in their academic and life journeys. Please take the time to browse through the website, so that you may gain a sense of the school’s ethos and culture. There are exciting times ahead and we look forward to sharing with you the school’s continuing success. Welcome to the Al Diyafah family!